An animatic is the next step in the storyboarding process which involves adding sound, camera movements, animation, and scene transitions. Storyboard Pro has all the tools necessary to synchronize your storyboard with sound, add camera and layer movements, and transitions before you export to the final video format. 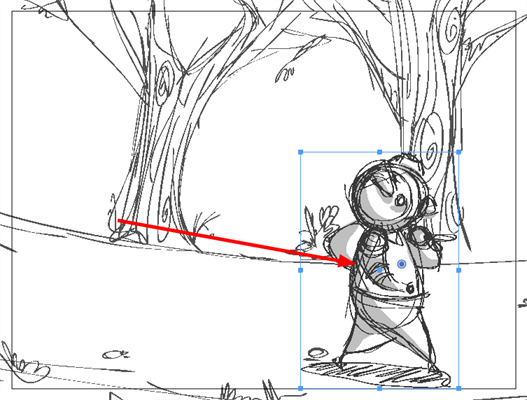 NOTE: This chapter explains the 2D functions of storyboard animatics. Refer to Working in a 3D Space to learn how to create 3D movements with 2D layers and 3D models, as well as how to set up 3D Camera moves.